This was DELICIOUS. I think I was an Italian in a previous life, because I cannot get enough Italian food, but this one was to die for. I gave up cooking the next night so that I could have another heaping plate of this stuff and believe me, that is unheard of. I really don’t know what exactly made this dish so delicious, but I wanted to eat the entire skillet full. Zack really liked it, too, thankfully because I can guarantee that we will be having it again. I’m so thankful to have a guy like him – he’s always so open to trying all the foods that I throw at him everyday. Even if he thinks something doesn’t sound good, he will still try it. He is such a good sport. I’m a lucky girl. Cook and stir chicken in large skillet sprayed with cooking spray on medium heat 5 minutes. Add vegetables, cook 5 minutes or until chicken is done and vegetables are crisp tender. 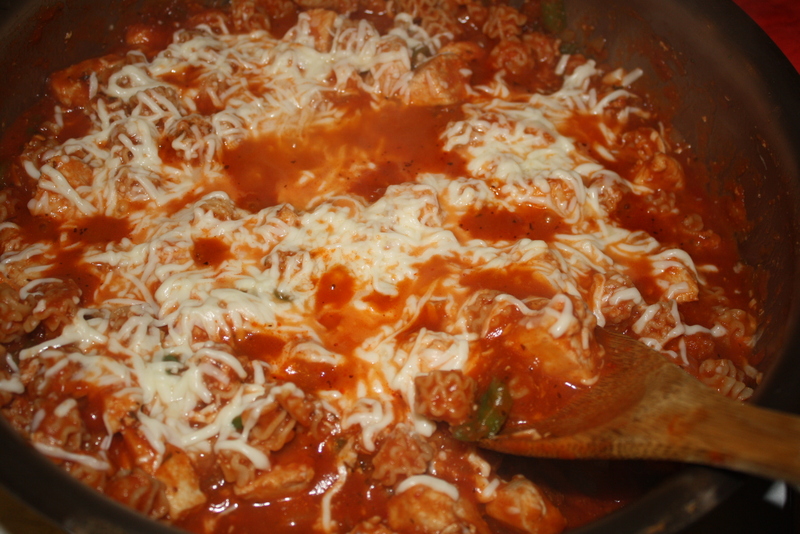 Add sauce and pasta; cook until heated through, stirring occasionally. 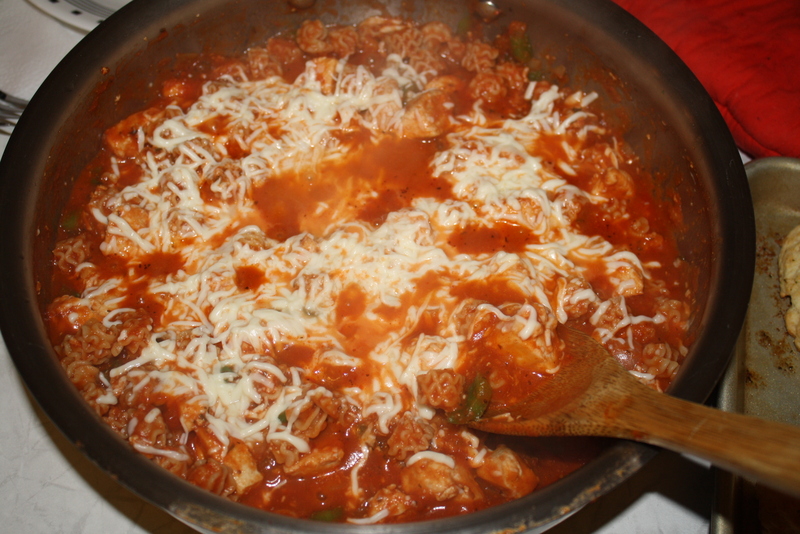 For a spicier dish, add 1/4 tsp crushed red pepper with the spaghetti sauce. Yum! Cheese, pasta, chicken. Can’t go wrong with that! Looks mouthwatering chicken pasta must buzzed u.
I agree with Janet, you can never go wrong with cheese, pasta, and chicken! Looks tasty!